The 26 scenic byways of Colorado connect the dots between historic sites and acres of majestic scenery that span from red-rock canyons to the peaks of the Rocky Mountains to sun-kissed prairie. 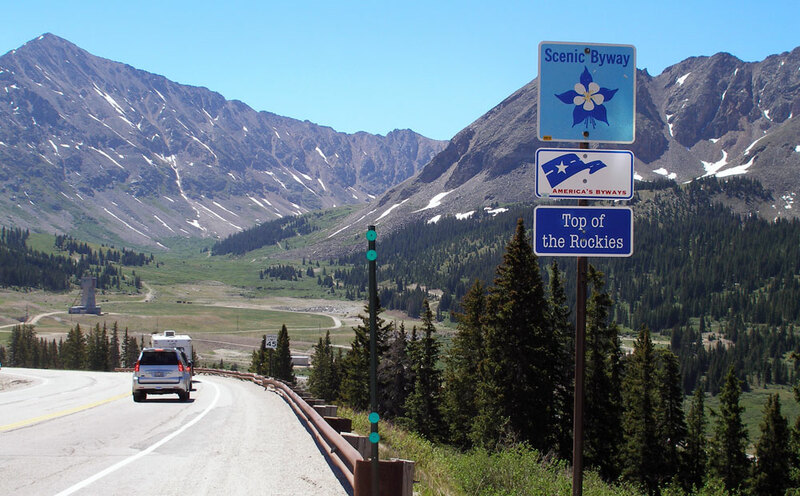 Below are short descriptions of each Colorado Scenic & Historic Byway, including the popular Trail Ridge Road, Mt. Evans Scenic Byway, fall color drives and other scenic drives and motorcycle routes. Click the byway name for details and suggested itineraries. Guide your 4WD over high-elevation 1880s roads past thick-with-wildflower meadows, abandoned mines and ghost towns. Southwest region: Connecting the towns of Lake City, Ouray and Silverton. Travel alongside one of America’s few Wild and Scenic Rivers and watch for grazing moose, granite canyon walls and historic landmarks. Front Range region: Between the historic towns of Fort Collins and Walden. Take this old stagecoach route through canyons carved by the Arkansas River and North America’s densest concentration of 14,000-foot peaks. South-central region: Connecting the towns of Granite, Buena Vista, Salida and Poncha Springs. Trace the upper reaches of the Colorado River and gain insight into the mountain men, ranchers and thrill-seekers of the state’s past. Northwest region: Between Rocky Mountain National Park and State Bridge via Granby and Kremmling. Hunt for fossils and footprints made by massive dinosaurs and rock art left behind by Fremont Indians along sandstone canyons and mesas. Northwest region: Grand Junction to Rangely over Douglas Pass, through Dinosaur into Utah. Immerse yourself in the mountainous beauty that inspired the U.S. government to preserve its wilderness areas in their raw states. Northwest region: Connects the towns of Yampa and Meeker. Glimpse relics of frontier life along a route that climbs upward, with plants, animals and geology that change every 1,000 feet. Southeast region: Between the city of Pueblo and the towns of Westcliffe and Colorado City. See canyons dotted with the petrified remains of life from 35 million years ago and find the history of “the greatest gold camp in the world.” South-central region: Between Florissant, Cripple Creek, Victor, Florence and Cañon City. Journey atop the world’s largest flattop mountain to see wide-open vistas and more than 300 stream-fed lakes. Northwest region: Between I-70 and Cedaredge. Tour the preserved silver-mining town of Georgetown before rising in elevation to raw alpine wilderness. Front Range region: Between the towns of Georgetown and Grant. Arc around the Spanish Peaks, where gold-seeking conquistadors, as well as Comanche, Pueblo and Tarahumara Indians once traveled. Southeast region: Linking Trinidad, La Veta, Walsenburg and Aguilar. Drive one of the first routes developed by the City of Denver to help Coloradans experience its mountain parks. Denver Metro region: Connecting the towns of Golden, Morrison, Idledale, Kittredge and Evergreen. Drift through the San Luis Valley, a mystical basin of vast farmland, the rugged Sangre de Cristo Mountains and the Great Sand Dunes. South-central region: Between Cumbres pass and the city of Alamosa via Antonito, San Luis and Great Sand Dunes National Park and Preserve. Travel the highest paved road in North America on a serpentine ride to the summit of 14,262-foot Mount Evans. Front Range region: Extends from Idaho Springs to the summit of Mount Evans and over to Bergen Park. Gain some perspective on the history of the plains as you navigate what was once a thoroughfare for ambitious settlers, entrepreneurs and migrating bison. Northeast region: Between the towns of Sterling, Fort Morgan, Grover and Ault. Get up close and personal with the Continental Divide, mining ghost towns, Victorian opulence and stunning views of Longs Peak. Front Range region: Between Estes Park and Black Hawk. Behold the multihued San Juan Mountains as you travel through some of the state’s most precious silver-boom towns. Southwest region: Connects Durango, Silverton, Ouray, Ridgway, Telluride and Cortez. 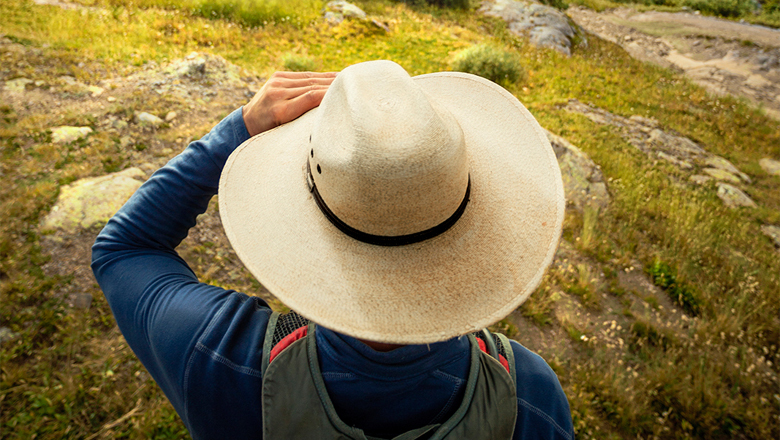 Traverse the famed lifeline between Missouri and Santa Fe in the footsteps of fortune-seekers like Wild Bill Hickock, Kit Carson and Zebulon Pike. Southeast region: Between the Kansas state line near Holly, CO, and the New Mexico state line at Raton Pass. Roam through wonderfully isolated swatches of the San Juan Mountains, stopping to sample historic Main Streets and top-of-pass scenic overlooks. South-central and southwest regions: Stretching from South Fork to Blue Mesa Reservoir and Lake City. Imagine the sounds of the galloping Pony Express horses and Overland Trail settlers who rode along this South Platte River-guided course. Northeast region: Runs betwen Julesburg and Ovid. Cross the Continental Divide three times on this dramatic road that passes Colorado’s two tallest peaks — Mount Elbert and Mount Massive. South-central and northwest regions: Connecting Leadville, Minturn, Twin Lakes and Copper Mountain. Witness the centuries-old cliff dwellings and petroglyphs of the Ancestral Puebloans along the first byway designated for archeological significance. Southwest region: Connecting the Utah state line near Hovenweep National Monument and the Four Corners (where Colorado, New Mexico, Arizona and Utah meet at one point) through the city of Cortez, CO.
Make your way above treeline inside Rocky Mountain National Park along the sky-scraping expanses of North America’s highest paved through-road. Front Range and Northwest regions: Within Rocky Mountain National Park. Veer off the beaten path through some of the state’s wildest lands, and look for remnants of those who tried to tame it with copper and uranium mines in the late 1800s. Southwest region: Between Whitewater and Placerville. Dip in and out of some of the state’s lushest river valleys on some of its most scenic and colorful mountain passes. Northwest and southwest regions: Between Carbondale, Hotchkiss, Gunnison and Crested Butte. The state's newest byway follows the creation and development of the Denver & Rio Grande Railroad, the state’s first, and ultimately the nation’s largest, narrow-gauge railroad system, as well linking two of Colorado’s most important and existing historic narrow gauge railroads: the Durango & Silverton Narrow Gauge Railroad and the Cumbres & Toltec Scenic Railroad — both remaining parts of the San Juan Extension built in the early 1880s. The route travels the following roadways, south and east from Durango: U.S. 160 south and east to State Highway 172; State Highway 172 to Ignacio; State Highway 151 to north of Arboles; Archuleta County roads 500 and 551 east and south into New Mexico; Rio Arriba County road in New Mexico east to Dulce; U.S. 64 east to Chama, NM. * Also one of America's Byways. Colorado is home to 26 Scenic and Historic Byways, 11 of which are also federally designated America's Byways. View our virtual Colorado Byways Guide; or visit the Colorado Department of Transportation's Colorado Scenic and Historic Byways site.